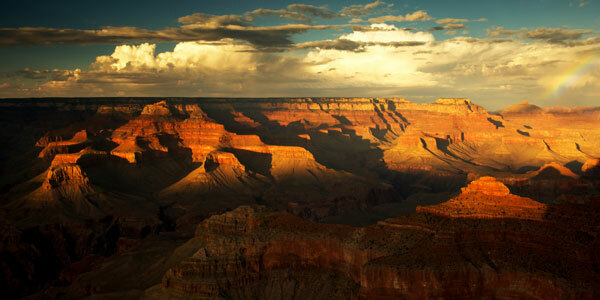 Many RVers who come to Arizona often ask, “Are there National Parks in Arizona?”. And the answer is a resounding, “Yes, the Grand Canyon!” In 1997, CNN announced a listing of the Seven Natural Wonders of the World and the Grand Canyon made that list. Five million years old, 277 miles long and 18 miles wide, the Colorado River’s deep canyon covers 1,904 square miles. Five million people take a Grand Canyon vacation every year. It is unlike any other place you will see so you want to plan several days there. So if you are planning an RV trip to the Grand Canyon we want to share camp sites you could stay at and how to prepare for your trip. Where would I park my RV? If you enjoy boondooking (commonly called dry-camping) you can do so by staying just a stone’s throw from the entrance of the Grand Canyon’s South Rim in the Kaibab Forrest. There are National Forest service signs posted for several side roads where you can boondock.To get an idea of where you would go, go to your map program and search on “Tusaya”. You should see forest roads that will lead you to suitable locations. Another location is Ten-X campground which is only 4 miles south of the Canyon’s entrance. There are no utility hookups and size is limited to 35 feet. The bonus of this location is the serene quiet and affordability ($10 per night). If you prefer a site with electric (50/30 amp), water and sewer hookups you may want to consider Trailer Village.Sites are available year round, are paved, accomadate 50 feet, and each one comes with a picnic table and bbq grill. 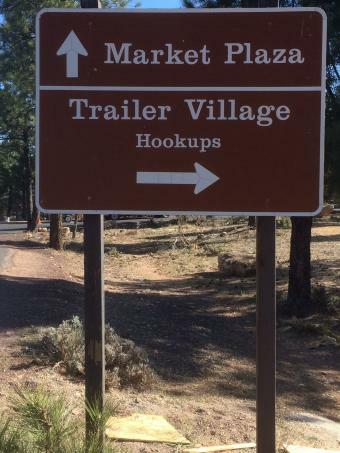 There are coin operated showers and laundry facilities near the Grand Canyon Trailer Village, which is very close. Another location is Mather Campground and it is adjacent to Trailer Village. It has a shuttle bus that will take you to the Grand Canyon Village and there is a dumping station. However, there are no hookups and sites can only accomdate 30 feet. There are coin operated showers and laundry facilities near the Grand Canyon Trailer Village. What would I do while I am there? There is so much to do that your biggest problem will be deciding on what to do. Activities can be curtailed to match your physical level of comfort. There are guided bus tours, trail hiking, mule rides into the canyon, train ride, bird watching, river rafting, photography classes, geology classes, and more. 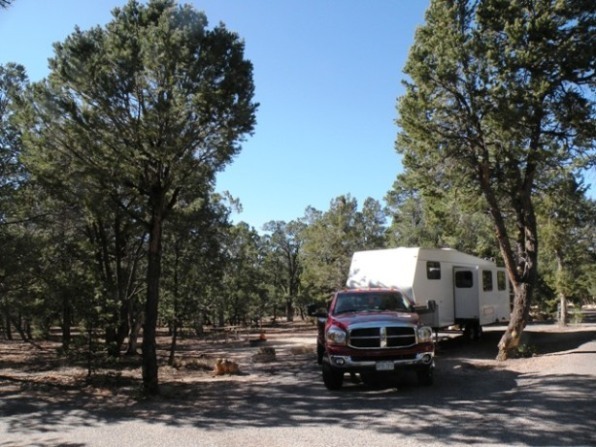 Before you begin your RV trip in the Grand Canyon be sure to prepare your RV for it. As exciting as this trip will be, you can really have a wrench thrown in the mix if you have breakdowns due to lack of RV maintenance checks. 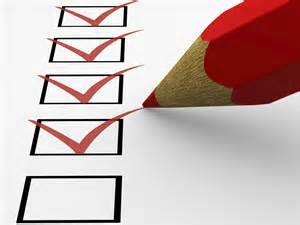 An ounce of prevention is key here and Fix-My-RV would like to help you out by providing a free Pre-Travel RV Checklist. 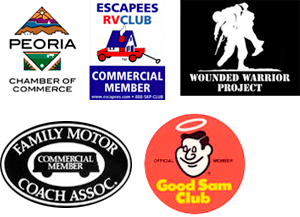 Of course, if you would prefer we conduct your Pre-Travel Check or if anything needs repair once you have conducted the checklist, give us a call at 623-875-5015.